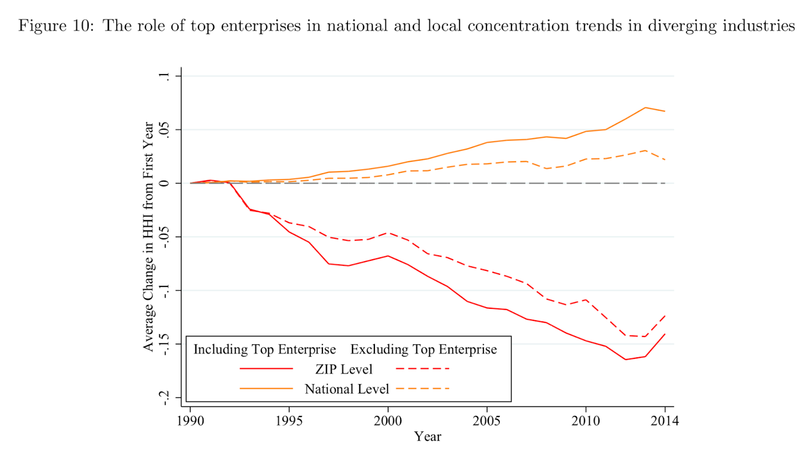 The Grumpy Economist: Concentration increasing? We could open up capitalism again to the ordinary fellow, if we wanted. First, Bain had a small sample limited in time. He found extra-normal returns to concentration. He refused to share his data with Brozen. 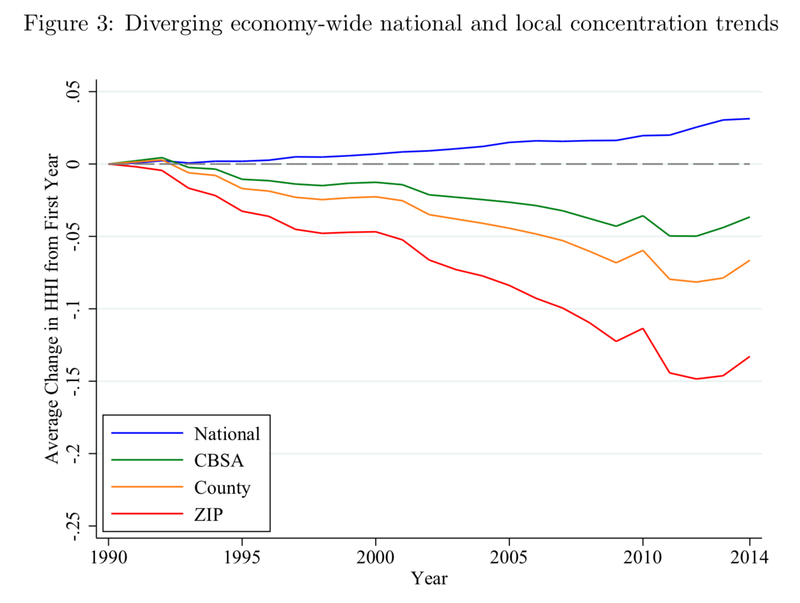 Second, Brozen found the extra-normal returns dissipated over about 10 years and concentration did not produce sustained extra-normal returns, but seemed to stimulate more entry by competitors. But bad old ideas (and hidden premises) never go away, they just come back as new false leads for research. Joe, I also worked for Yale when I was at the GSB. 1971-1972. He Thought Bain was dishonest with the data and Stigler used a short time horizon and small sample. 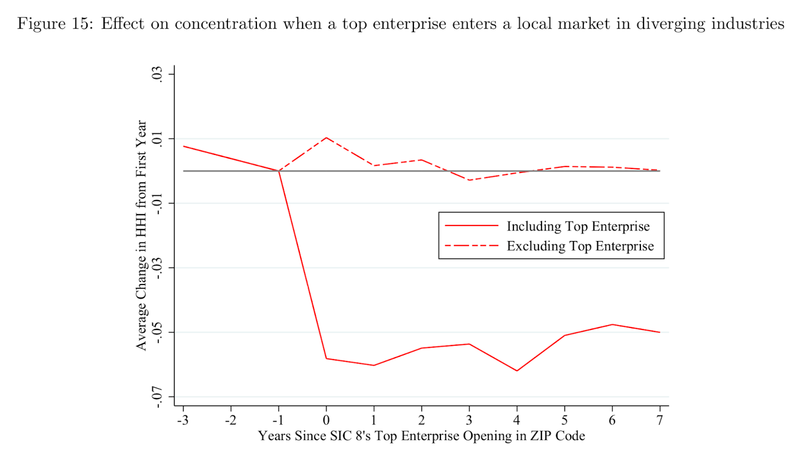 Later, Yale and Harold Demsetz demonstrated correlations between concentration and profits were either transitory or due to efficiency. 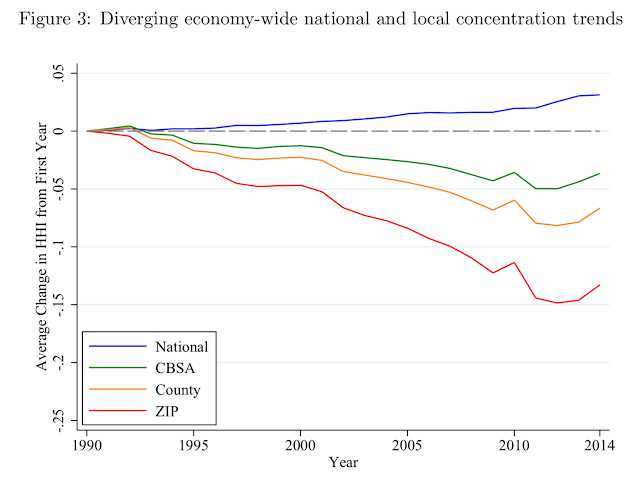 Not anti-competitive barriers to entry. 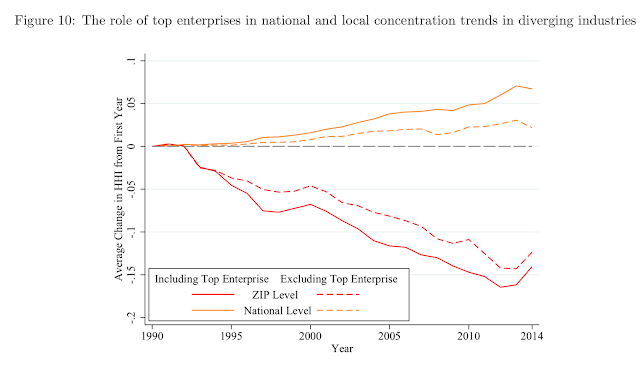 As time horizons increased, profits declined, probably because of increased competition. In 1966, the big three automakers had 89.6% of the automobile market. in 2014, their share was about 44.5%. BTW. Yale was most generous with his time. I learned more econ working and talking with him, than the micro/macro courses I took. We could open up capitalism again to the ordinary fellow, if we wanted? What is it going to take to make that happen? Pitchforks in the streets? Hitler? Trump? 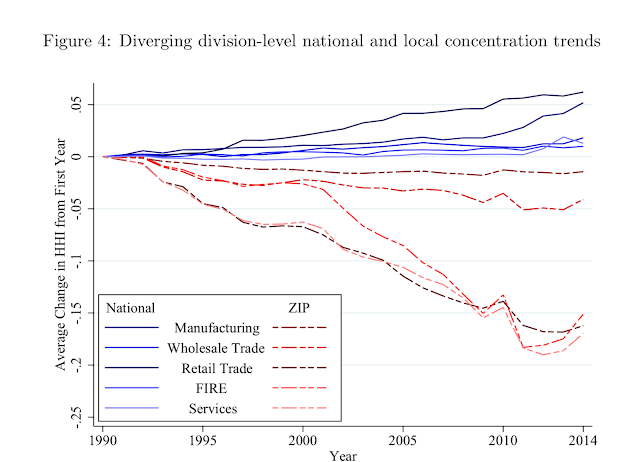 A 2015 study by professors Kathleen Kahle and Rene Stulz, published in the Journal of Economic Perspectives, found that “over the last 40 years, there has been a dramatic increase in the concentration of the profits and assets of U.S. firms.” In 1975, 109 companies accounted for half the earnings of all public firms; by 2015, that number had dropped to just 30. Private jets tax breaks, Sports stadiums, Carried interest, Financial-crisis bailouts – to name just a few issues. How much more can we subsidies the uber rich? The current system is rigged to the wealthy. Unfortunately, our politicians, on both sides, are beholden to those who pay to get them elected. Deficit spending means nothing to them. They will do and say whatever it takes to be elected. Historically, it usually ends badly. I am cautiously pessimistic. 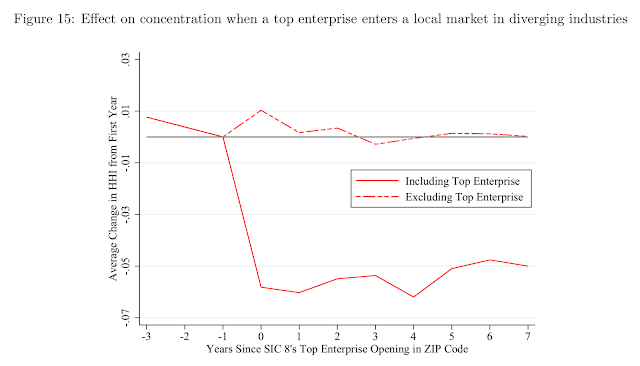 How many firms are necessary for effective competition? Jim says: it would be interesting to compare the largest urban areas with the smallest urban areas. 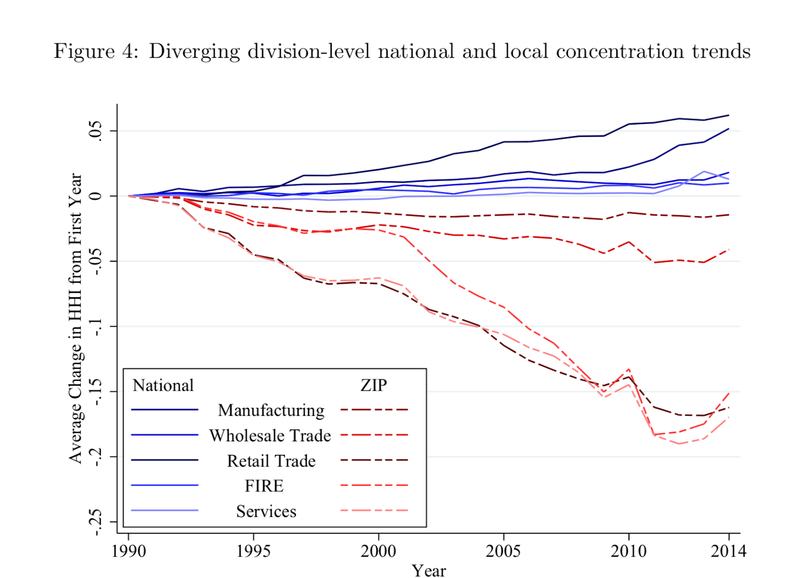 A possible factor for the increasing number of businesses in the larger urban areas: with worse and worse traffic jams, people shop more locally to save travel time.